Admittedly, the plot for Man on a Ledge is on the preposterous side with sizeable plot holes but given what it is and the cast gathered, I was still rather entertained. 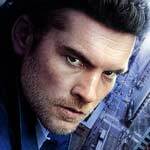 Sam Worthington is for once able to hold his own, albeit with a weaker script, and the supporting cast is impressive. The Blu-ray offers good video and audio transfer but utterly drops the ball in the features department.